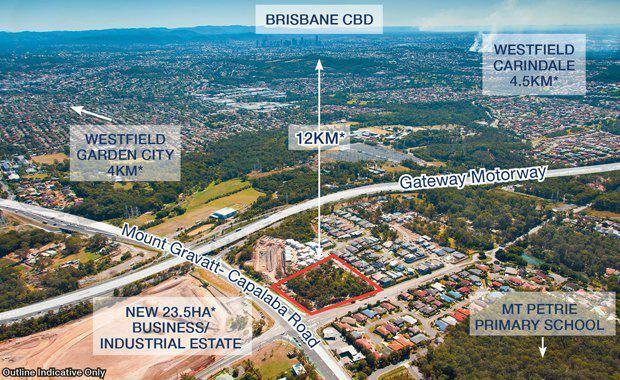 Mr Creevey said the size and location of the site only 12 km from the Brisbane CBD on the corner of Mt Gravatt-Capalaba Rd and Mt Petrie Rd presents a number of possible uses. Mr Williams said features of the location include its proximity to the Gateway Motorway, Westfield Garden City and Carindale Shopping Centres. “Projects such as Goodman’s Rochedale Motorway Estate, the future Rochedale Town Centre as well as the successful land releases in masterplanned communities in Rochedale demonstrates the strong demand for residential product in the area,” he said.